An adult hipster son with binoculars and senior father sitting on the grass in sunny nature. 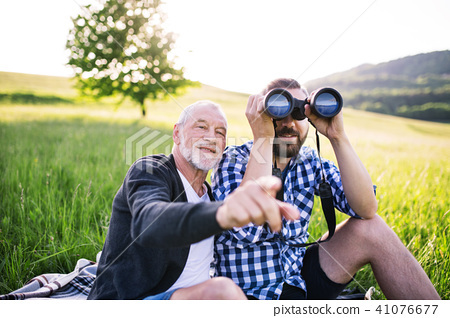 Stock Photo: An adult hipster son with binoculars and senior father sitting on the grass in sunny nature. An adult hipster son using binoculars and his senior father sitting on the grass in sunny nature.